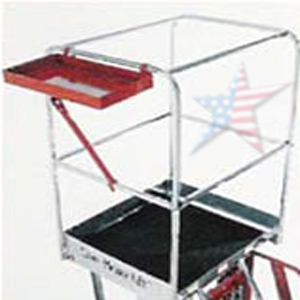 Homeland Manufacturing, Inc > Rolling Ladders Buyers Guide > Maxi Lifts, Portable Man Lifts. > Cotterman ML-256BH. Call a Pro! Cotterman 25' Electric Maxi-Lift. Cotterman ML-256BH for the very best in Man Lifts. 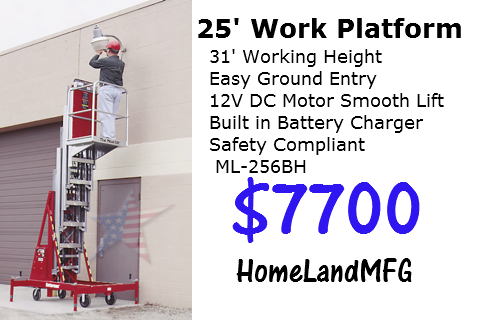 Cotterman’s ML-256BH, this electro/hydraulic elevating work platform offers convenient ground entry and elevation to a maximum platform height of 25 ft. giving a working height of 31 ft. 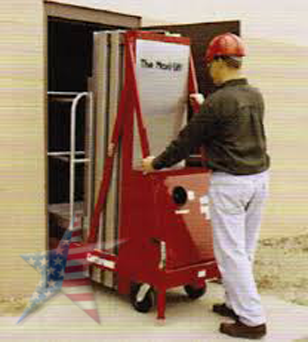 This 'push around' Maxi-Lift’s® smooth electro/hydraulic system is powered by a 12V DC motor. The heavy duty steel construction and dual leaf chains provide a comfortable, stable ascent to the desired work level. A built-in battery charger is provided with two (2) heavy duty 6V deep cycle batteries. All units are supplied with 110V AC power outlet on the platform. A lockable control center is provided to prevent unauthorized use. Unit meets the strength and dimensional requirements of ANSI A92.3-1990 safety standards for elevating work platforms. Lift is equipped with electrically interlocked outriggers. 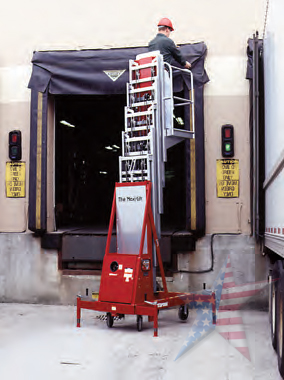 All outriggers must be properly positioned before the platform can be elevated.